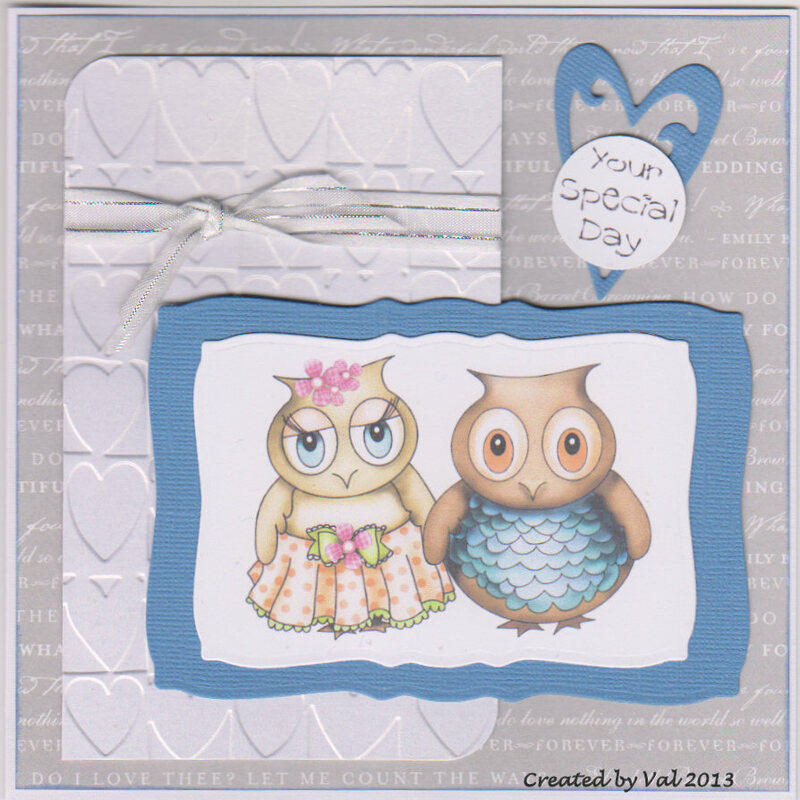 I have a wedding card to share with you today using a couple of cute owls from Polkadoodles - I arranged the two images so that they look as if they are holding hands - ahh!! Backing paper is from a pad of wedding papers I've had for ages, the heart behind the computer greeting is a Marianne die and a Cuttlebug hearts embossing folder was used on some Centura Pearl card. It's been a lovely sunny day today and I should have been mowing lawns but decided it was maybe a bit to warm outside - perhaps this evening if it cools down... but then perhaps not!! Just look at how those embossed hearts echo the pattern on owl groom's suit. Love the holding hands bit too - very neatly done. Such a cute couple Val, and a perfect Wedding card. Don't blame you for leaving the grass it is hot outside today, great for getting washing dry though. So sweet pair! 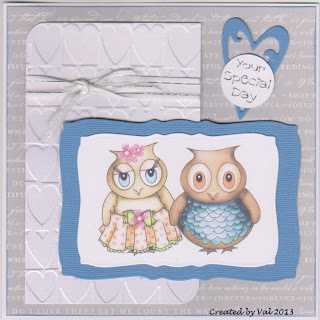 Love your owls and card!! !